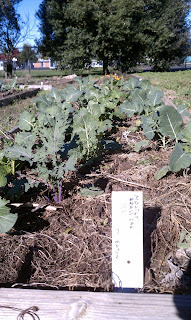 We followed that winter garden with an aggressive summer garden of tomatoes, beans, squash, and melons, with a handful of volunteers participating and the harvest intended for the Food Bank housed on site. Unfortunately, over the summer we suffered a series of vandalism acts in which most of the crops were destroyed. Boredom + not knowing where food comes from = a tragic equation. As a result, most of those involved in the garden decided that their efforts would be more productively focused in their own back yards, on growing extra that could be delivered to the food bank. A few of us have hung in there and we've planted a few beds to vegetables this fall. 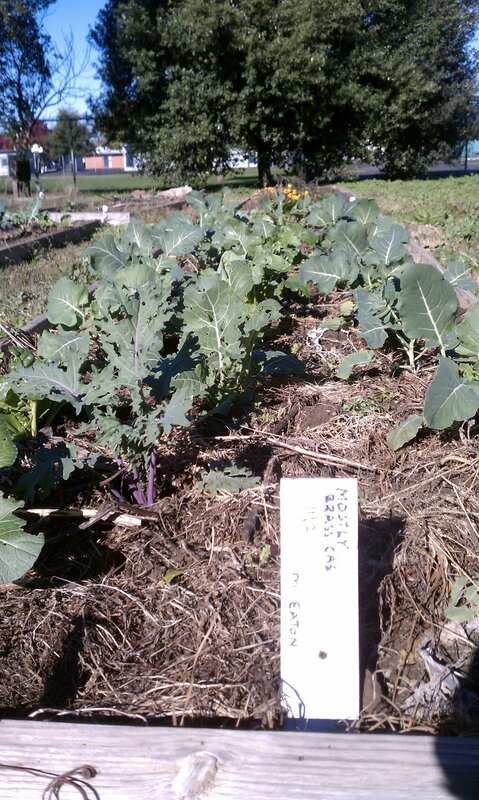 Kingbird has two beds of broccoli etc. and three beds of fava beans. We're hoping for a decent stream of fresh goodies into the food bank in March and April.